This easy, fresh, homemade berry upside down cake is the best dessert recipe to make from scratch! 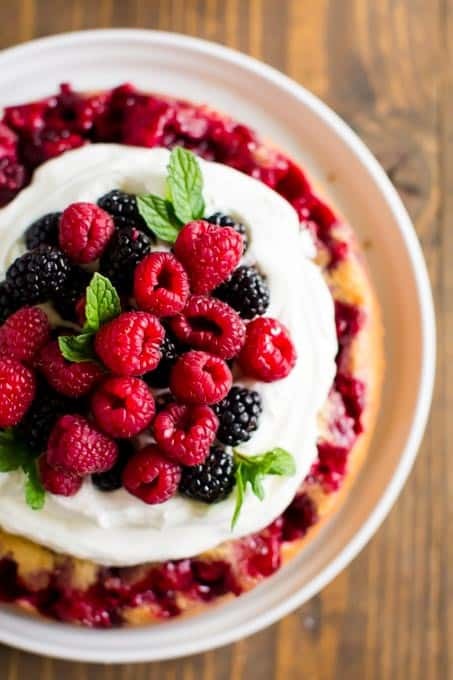 This old fashioned berry upside down cake is a favorite recipe for our family. It’s so easy to bake homemade from scratch and offers great big award-winning flavor you’ll love. My gang thinks it’s the best! This moist, layered traditional dessert is a simple, quick and fresh tasty Southern classic. It tastes gourmet but it’s so easy to make. 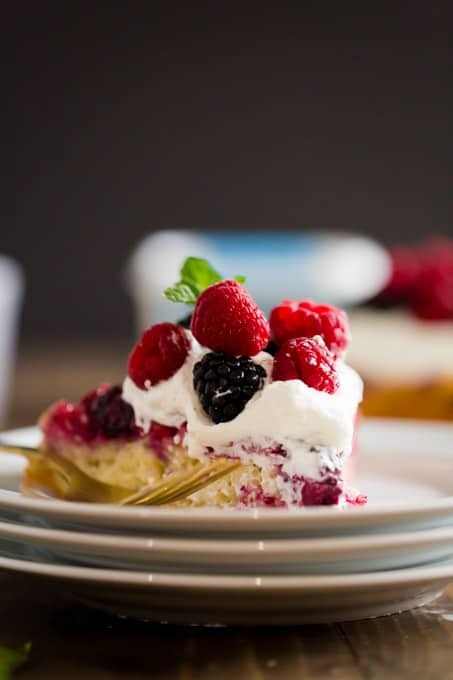 You can’t beat the fresh mixed berries layered with moist cake and fresh whipped cream topping. It’s as beautiful as it is yummy! I’m excited to share this unique, amazing recipe with you today in partnership with Mirum. 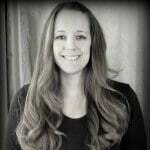 Over the past six months, our family has gone through a lot of changes. Some great ones and some not so great. But through each transition, I’ve been really blessed to live in a fantastic neighborhood with a wonderful community surrounding us. Our whole crew has made some great friends that have been so kind and loving to us. I’m eternally grateful for this. Because of this new friends, I’ve had the opportunity to do more entertaining in my home — which I love. Not only is it great to have time with friends, but I’ll also take any excuse to make tasty food! I especially love preparing delicious, easy desserts — like this upside-down cake recipe we’re talking about today. What is a Berry Upside Down Cake? 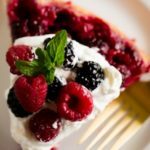 Similar to a pineapple upside down cake, you bake the berries on the bottom of the pan for this recipe. The cake batter goes on top and then you flip it over when plating so the berries are served on top. It’s a moist, tasty dessert! I’ve heard some say upside down cakes are a Southern, traditional classic. I’m not sure if that’s true, but I know it’s an easy, homemade dessert that everyone always raves about whenever I serve them! 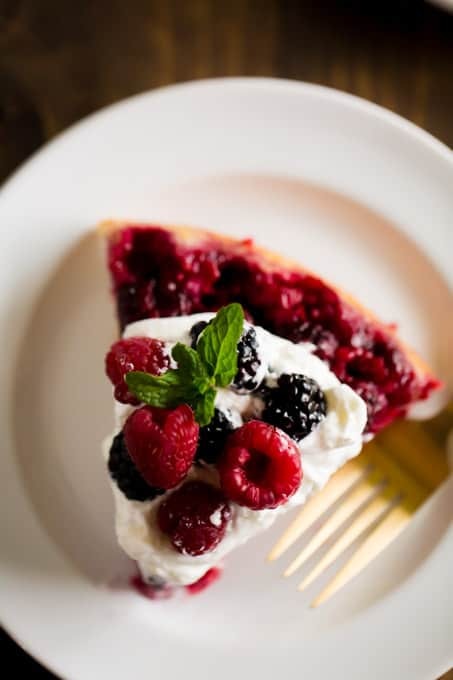 There are a lot of fruits that can be made into upside down cakes: rhubarb, pear, cranberry, strawberry, blueberry, mango, plum, pumpkin, banana, peach, apple or apricot. I think I’ll be trying some more flavor combinations soon because we love this berry version so much! I love using the wholesome goodness of Brummel & Brown in this recipe. The original buttery spread is made with real yogurt and plant-based oils. With 1/2 the fat and calories of butter, it’s a smart choice! It’s a healthy option that tastes great and has 0 grams of cholesterol per serving, too. You can also save 50c off a Brummel & Brown product with this Publix coupon now. You’ll it in the butter/spread section of your local store. Coat 9-inch round cake pan with non-stick cooking spray. Melt 2 Tbsp. Brummel & BrownTM Original Buttery Spread and combine with brown sugar in small bowl. Pour mixture over bottom of prepared pan and pat into an even layer. Evenly top with berries; set aside. Combine flour with baking powder in medium bowl; set aside. Beat sugar with remaining Spread in a large bowl with electric mixer until creamy. Beat in egg. Alternately beat in flour mixture and milk until blended. Pour over berries. Bake 40 to 45 minutes until a toothpick inserted in center comes out clean. Cool 5 minutes on wire rack; invert onto serving plate. Serve warm or at room temperature. 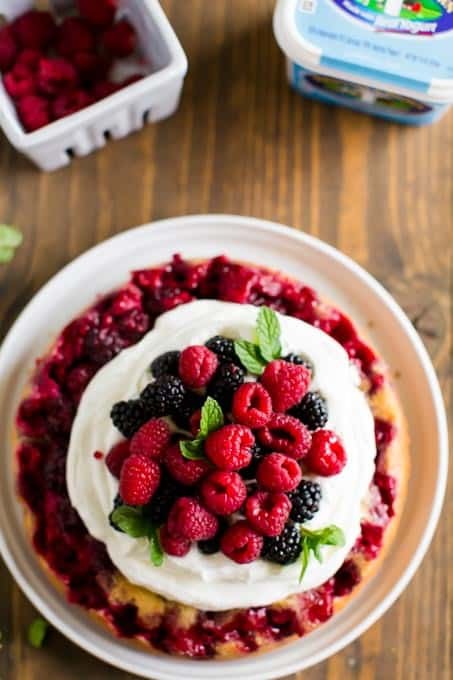 I topped mine with homemade whipped cream and a few more fresh berries. Using a mixer, pour the sugar in your mixing bowl and had the heavy whipping cream. Beat until stiff. Then fold in lemon juice and zest until incorporated and serve. You could also make mini, individual serving sizes of this from scratch dessert which are always fun. You could also use a cast iron skillet to bake in or even make it in bundt cake pan. There are lots of possibilities! It’s divine by itself, but there are lots of tasty topping ideas as well. The fresh whipped cream with a dash of lemon won for me this time — it’s so delicious. You could also make homemade whipped cream with a little mint, too. More ideas include sprinkling with powdered sugar or coconut or drizzling with chocolate or caramel sauce right before serving. You really can’t go wrong with such amazing flavors! 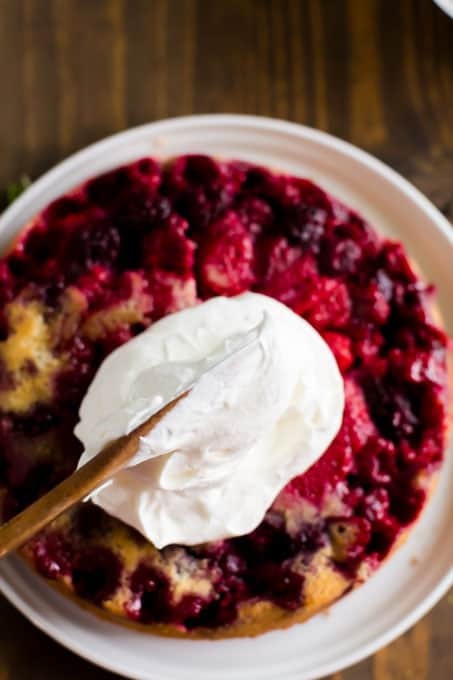 I’m confident your family will really enjoy this berry upside down cake. Preheat oven to 350°. Coat 9-inch round cake pan with non-stick cooking spray. Melt 2 Tbsp. Brummel & BrownTM Organic Buttery Spread and combine with brown sugar in small bowl. Pour mixture over bottom of prepared pan and pat into an even layer. Evenly top with berries; set aside. Beat sugar with remaining Spread in large bowl with electric mixer until creamy. Beat in egg. Alternately beat in flour mixture and milk until blended. Pour over berries. Bake 40 to 45 minutes until toothpick inserted in center comes out clean. Cool 5 minutes on wire rack; invert onto serving plate. Serve warm or at room temperature and dust with confectioners’ sugar if desired. You'll never want store bought again after trying this delicious homemade version! 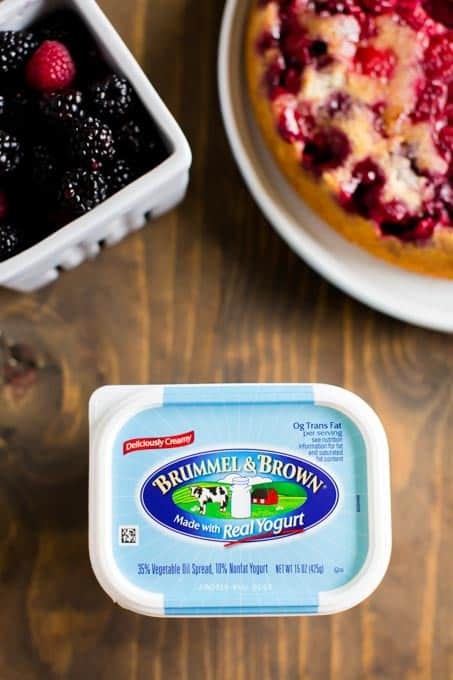 What can I use instead of brummel & brown organic buttery yogurt spread.